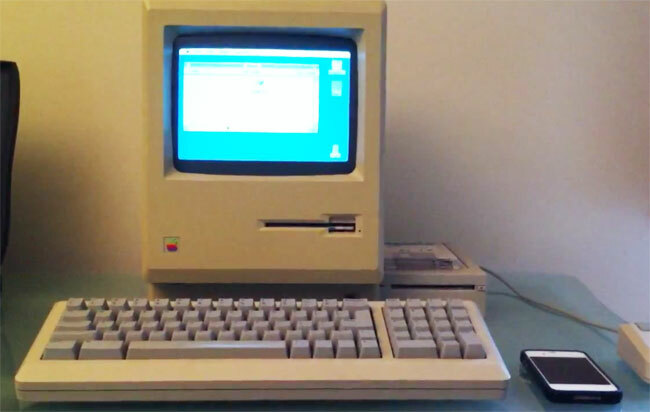 YouTube user Napabar has been able to combine old and new technology in a a setup to demonstrate how Apple’s latest Siri voice control assistant software and an iPhone 4s can be used to email a vintage Mac 512k system. The system uses a few systems and a little Applescript to control the email after it has been sent, watch the video after the jump to see it in action. The system is also assisted by a pair of intermediary machines, using one iMac which has been configured to run an AppleScript once a dictated email message has been received from Siri, and a bridge computer that then passes on the resulting text file to the Mac 512K’s floppy drive.